UK annuity rates are unlikely to see much increase in the next year after the Bank of England indicated that an interest rates rise has been pushed back to the end of 2015 following concerns over decreasing inflation data. The Bank of England governor Mark Carney has had to explain to the Chancellor why inflation, currently at 1.3%, is below the target level of 2.0%. It is likely that inflation will continue to fall even below 1% in early 2015 and continue to remain near this level over the next 12 months. The Bank expects interest rates to remain at the current 0.5% level for at least another year and could take three years to return to the 2.0% target. This means gilt yields, which annuity rates are primarily based, will remain low preventing any short term rise in annuities. For people retiring it is a difficult decision to make as some may be waiting for a rise before buying. Annuity rates increased at the end of 2013 by an average of 11.2% after the 15-year gilt yields rose 111 basis points to a high of 3.47% following Federal Reserve announcement to end the stimulus programme. Since the start of the year yields have reduced to 2.53% pulling down annuities. If interest rates are kept at 0.5% first reached in March 2009, it is very unlikely annuities will increase and may remain low for a further three years until inflation levels returns to the Bank of England 2.0% target. The recent fall in commodity prices and poor growth in wages and global economic growth has prompted the Bank to change it's direction. Interest rates were expected to rise at the end of 2014, then February 2015 and now delayed until October of that year. Forecasts from the Bank suggest inflation will fall to 1% in December and below 1% at some point in the next six months. 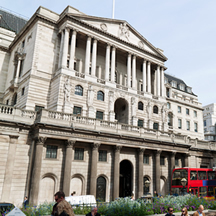 As UK economic growth has slowed coupled to the sharp downturn in the Eurozone, analyst at the HSBC bank predict the Bank of England will not be in a position to raise interest rates until the first quarter of 2016. Over the next six months annuity rates may remain level or even decrease slightly. With significant changes in pensions from April 2014 people retiring may have a difficult decision to make. Buying an annuity when rates are getting lower would mean locking into a lower income for a lifetime and other options could look more attractive. Ideally people should wait for higher interest rates, however, it may take up to three years to see significant benefits in terms of annuity rates. 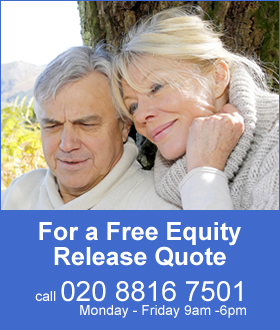 It is possible to delay buying an annuity while taking your tax free lump using a fixed term annuity for three years or more allowing time for interest rates to improve. This route would provide an income selected by you and a guaranteed maturity amount at the end of the term. An alternative would be pension drawdown using a protected growth fund to reduce volatility. Even smaller funds of £30,000 to £100,000 can consider this and this option would allow greater income flexibility than the fixed term plan.